Steve McKinney was inducted into the U.S. Ski & Snowboard Hall of Fame during a ceremony at The Resort at Squaw Creek on Saturday, April 14. 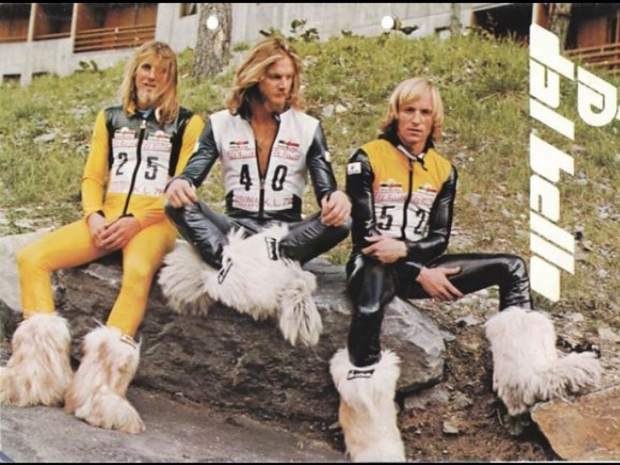 Steve McKinney broke designed his own speed suits and broke several world records in the 1970s. 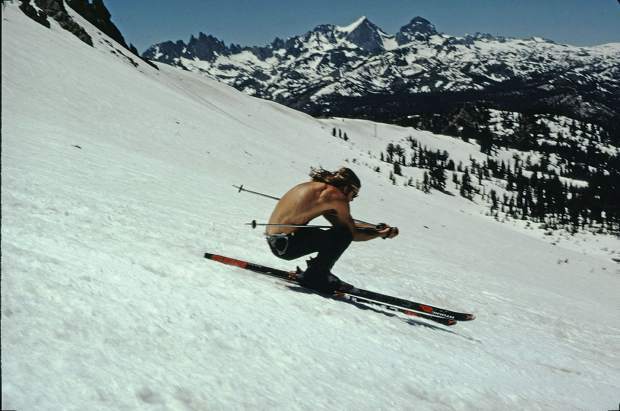 Described as a 6-foot, 4-inch Viking warrior, Steve McKinney was a skiing icon throughout the 1970s and ‘80s. Steve McKinney races at Mount Rose during his junior racing career. Steve McKinney was the first man to hang glide off Mount Everest. He soared off the 22,00-foot West Ridge in 1986. Steve McKinney was looked up to by many in the ski industry, and changed countless lives before his death in 1990. Steve McKinney was enshrined into the U.S. Ski & Snowboard Hall of Fame during a ceremony at The Resort at Squaw Creek on Saturday, April 14. One of the most iconic figures in skiing was immortalized in a reception that brought tears and pride to the Lake Tahoe community. 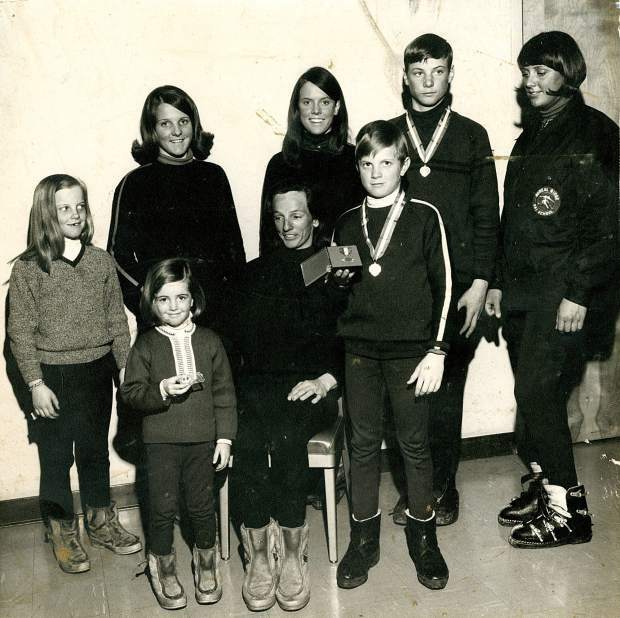 Described as a 6-foot, 4-inch “Viking warrior,” Steve McKinney was a legendary skier and adventurer, and at an April 14 ceremony at The Resort at Squaw Creek, he was inducted into the U.S. Ski & Snowboard Hall of Fame. “In any sport there’s always a pro’s pro. 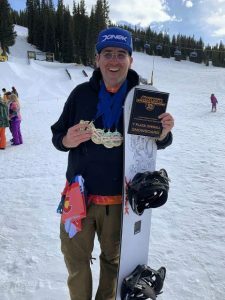 There’s a guy that even the pros say, ‘Damn, that guy is good,’” said hall of fame skier and the night’s host Jonny Moseley. “In skiing that’s particularly the case, and around here in Squaw Valley, gold medals, world championship medals, they don’t mean a lot if you don’t rip … he ripped. McKinney was a larger-than-life figure during the 1970s and ’80s with his long blonde hair snapping at his back as he crushed speed skiing world record after world record. McKinney’s accomplishments are many. He set the world speed record in 1974, traveling 117.43 mph in Cervinia, Italy. Three years later he became the first man to travel 120 mph on skis, doing so in Portillo, Chile. He then became the first skier to break the 200 kph barrier when he returned to Portillo the following year. 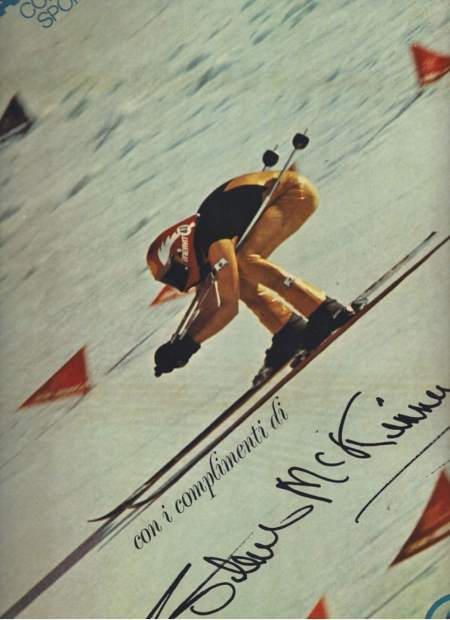 McKinney would again break the World Speed Skiing Record in 1982, traveling 124.7562 mph down a slope at Les Arcs in France. During McKinney’s induction ceremony, Moseley described the legendary skier as the Jimi Hendrix of Squaw Valley. McKinney’s style was brilliant on the snow and as effortless as the legendary rocker made his most-difficult solos look. 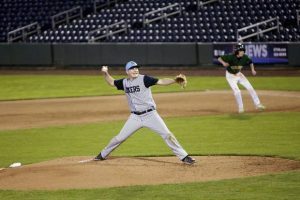 He was one of eight children, growing up on horses, skiing and rock climbing around Tahoe and Squaw Valley, and was always pushing his limits. In 1973, McKinney and a friend decided to climb the Donner Pass Black Wall route known as Rated X, where he’d take a roughly 80-foot fall, breaking his back and both heels. McKinney spent the next few months in a body cast from his neck to his hips, but still attended and skied that winter in Cervinia to observe the world’s top speed skiers. The following summer, Dorworth said, McKinney returned to Rated X at Donner Summit and successfully climbed the route. The next winter he returned to Cervinia and broke the world speed record. 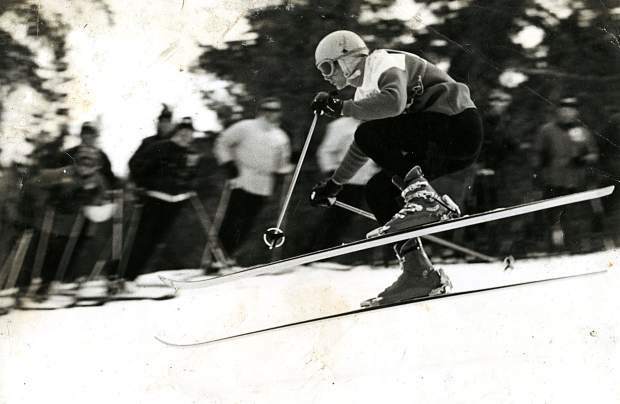 McKinney’s feats weren’t limited to skiing. Tamara McKinney remembers her brother’s expedition to the Himalayas where he and a group were attempting to become the first Americans to summit Mount Everest without the use of supplemental oxygen. Though the expedition ultimately fell short, McKinney did have a realization after seeing a bird soaring in the thin air from the side of the famed mountain. “He was camped out … high enough that he thought, ‘OK, if that bird can soar, I’m going to come back here and hang glide,’” said Tamara McKinney. During that expedition McKinney was also instrumental in saving the life of one of America’s greatest climbers, John Roskelley. 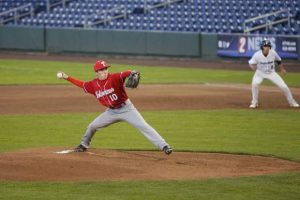 “(Roskelley) came down with pulmonary edema at 25,000 feet and was practically carried off the mountain by McKinney,” said Dorworth. 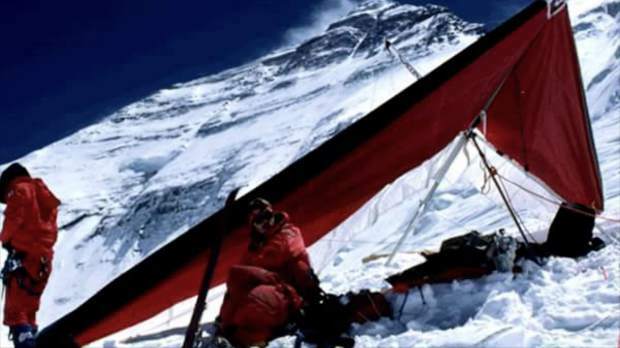 In 1986, McKinney returned to Everest with a hang glider in an attempt to become the first person to soar off the mountain. A training run at 18,500 feet proved near disastrous as McKinney stalled on the inconsistent currents and was forced to beak the landing, stuffing the nose of the glider into the ground as he landed. McKinney later took the glider up to Everest’s West Ridge and became the first man to hang glide off the mountain, soaring from 22,000 feet on Oct. 5, 1986. His landing on a pair of skis at 19,800 feet set a world record for the highest landing by a hang glider. 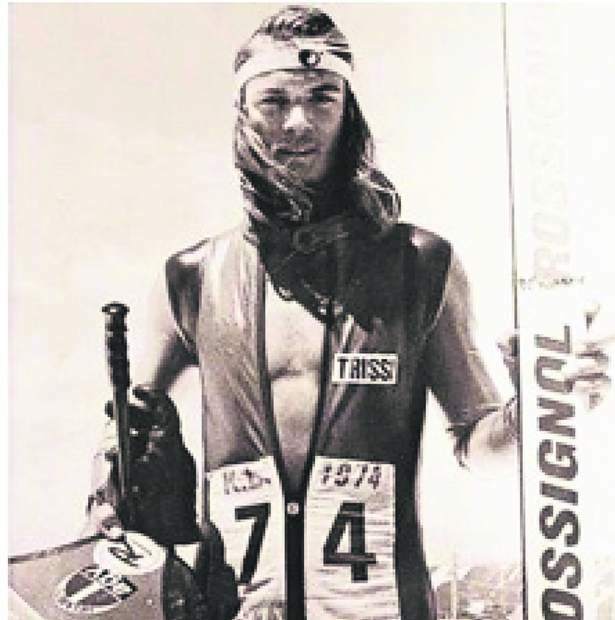 When legendary Austrian speed skier Franz Weber first saw McKinney in a magazine he asked himself if he was looking at a picture of Jesus or a hippie. “So I picked Jesus,” said Weber. The two first met in 1978 in Italy, where McKinney made an immediate impression. “All of a sudden I see this guy, long hair, just the way I remembered him from the magazine, no shirt on … a rope through his belt,” Weber said. ”He throws out, I don’t know if it was a cigarette or whatever it was, and goes to the edge of the hill and goes down without a shirt, without a helmet — I’m not kidding you — over 100 miles an hour. Later Weber would wind up in Squaw Valley where he was again enamored by McKinney. “When I came back to Squaw Valley, I realized that Steve was indeed Jesus, because he had a lot of disciples … not just because he was that good, but because he was giving,” said Weber. ”Everyone who needed a pair of skis, or a suit, or a helmet, whatever he had he helped them out. Another legend in skiing, Jimbo Morgan, credited McKinney with turning his life around. “Clear your nose, buckle your boots, put your helmet on, and skate out of the start. The first words of wisdom Steve bestowed on me,” Morgan said at the Hall of Fame ceremony. Morgan grew up skiing in Squaw and quickly rose to prominence on the national and international scenes. 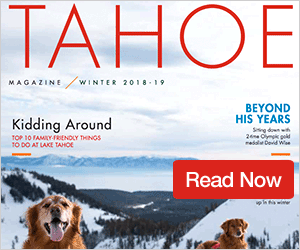 Believing his own hype, he said he began running with the wrong crowd, burning bridges and was eventually kicked out of every bar between Tahoe City and Squaw Valley. That’s when McKinney stepped in. Morgan said he went home, looked in the mirror, and decided to take his racing career seriously. “I learned my lesson, and it was Steve, who didn’t have to extend his hand and tell me I was being an idiot, but he did and it changed my life,” said Morgan. McKinney goes down as one of the greatest skiers to ever come of out of Squaw Valley, and his ability to tackle the seemingly impossible has left an indelible mark on the world of winter sports. Though his life was cut short, McKinney discovered a peace through speed and fear that few will ever understand. “I discovered the middle path of stillness within speed, calmness within fear, and I held it longer and quieter than ever before,” McKinney said in a 1975 article for SKI Magazine.